The Australian armed forces are to be strenghtened with 450 new tracked Infantry Fighting Vehicles (IFV) to replace the outdated American Armoured Personal Carriers M113, operated by the Australian military since the 1960’s. The tender is supposed to be worth of several billions of dollars, and it should begin this year. The favourite of the tender is the German arms industry giant Rheinmetall, which has already seen an Australian success during the last tender on the wheeled fighting vehicle with the Boxer AFV (Armoured Fighting Vehicle). Australia is doing the rearmament in trully big numbers and the purchase of the new tracked Infantry Fighting Vehicles is the third large Australian tender in a row. The previous tender for deliveries of the wheeled vehicles was won by the German Rheinmetall with the Boxer vehicle. The condition of the tender was to establish a production facility in Queensland in the North-East of Australia. This facility now provides Rheinmetall an advantage during the tender for the tracked vehicle. Which makes the Lynx IFV by Rheinmetall the favourite of the tender, as it meets the best the army requirements and it’s price/quality ratio is credible. Apparently there are just three competitors. The BAE Systems producing the CV90, the South Korean Hanwa and it’s K21, and the American General Dynamics with the Ajax IFV. The other potions are either outdated, or still in development. The questions stays however which company will be bold enough to really take part in the tender. During the last tender both finalists, Rheinmetall and BAE Systems, have expended about 25 million dollars. It is expected that the costs linked with the offer of tracked vehicles might be double. The result of the Australian tender may have interesting influence on the Czech Army situation. 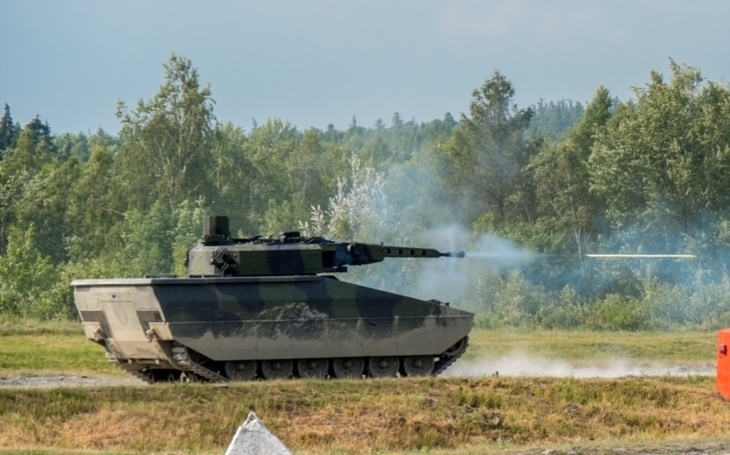 Even the Czech Defence Ministry is preparing a tender to choose a new Infantry Fighting Vehicle, and even in this tender three of the „Australian“ competitors should meet: Rheinmetall witht he Lynx, BAE Systems with the CV9030CZ and General Dynamics with ASCOD 2. If the Australian tender was won by the German producer it might offer him an advantage even for the Czech project.